Xpress Your Essence: Another Award?! WOW! Woohoo! I wanted to know more about this particular award as it wasn't self-explanatory to me. I discovered this website, http://wordingwell.com/the-liebster-award-the-official-rules-my-first-blog-award-and-a-few-personal-secrets-revealed/ in the process. The Liebster Award - isn't it pretty? - was created to recognize and/or discover new bloggers and welcome them to the blogosphere. According to Lorraine Reguly's reearch of this award, this award exists only on the internet, and is given to bloggers by other bloggers. It has German origins – the word “liebster” has several definitions: dearest, sweetest, kindest, nicest, beloved, lovely, kind, pleasant, valued, cute, endearing, welcome, sweetheart. and apparently boyfriend(!). It follows similar principles as a chain letter, in the sense that it should be passed forward to a certain number of people. It can be misconstrued, depending upon your personal views, as either something wonderful (who doesn’t like awards?) or as an annoyance (a chain letter that involves work). Other awards are a part of the whole meme. These include "One Lovely Blog Award," the "Sunshine Blog Award" (which by the way I was awarded last week by Usha as well), and the "Versatile Writer Award." 2. Answer the 11 questions given by you. 3. Tell them that they have been tagged by you. 1. Born in Europe and moved to Canada with my family when I was six. 2. Born a premature twin, am a surviving twin. 3. Have two older sisters and two younger brothers. 4. Work for a nonprofit agency full-time. 5. Am an ideas person, sometimes creating inventions in my life. 7. Am great at memorizing faces, voices, and numbers. 8. Especially love trees, mountains, and water from my European heritage. 9. Live in North Vancouver, British Columbia (BC), Canada - north of Vancouver. 2. What city/town, country do you live in now? 5. Do you like to cook? If so, what is your specialty, i.e., favourite dish? 6. Do you prefer tea or coffee? If so, what kind? 7. What are your top three to five activities you like/love to do? 8. Do you sing or play an instrument? If so, what kind of music? 9. Have you ever performed in a school play or on stage? 10.When did you start writing? 11.What do you love to write about: favourite topic(s)? 1. Where were you born? A: The Netherlands also known as Holland for short. 3. Which is your favorite book? A: ONLY one?! The Curious Incident of the Dog in the Night-time, written by Mark Haddon, a brilliant rollercoaster ride of emotions etc. 4. Do you believe in superstitions? A: No, I am not superstitious. 5. Do you like to have Burgers and Pizzas? A: Yes, if organic and I LOVE pizza! 8. Which newspaper do you read? A: I browse through several at work, though I prefer my local community newspaper for news and events. 9. What is the first thing you like to read in the newspaper (i) Politics (ii) movies (iii) Gossip (iv) Fashion A: None of the above! I like to read - I follow - one comic strip and read my horoscope for the day just for fun. 10. How many languages do you know? Name them. A: English fluently, a few words in Dutch, and a bit of Spanish and French. 11. Do you believe in reincarnation? A: Yes, I never did before until I had certain incidents that made me a believer. 1. thank the person who nominated you, and post a link to their blog on yours. 8. 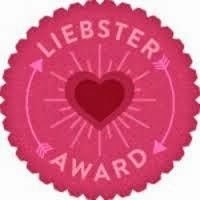 Inform the people/blogs that you nominated that they have been nominated for the Liebster award and provide a link for them to your post so that they can learn about it (as they might not have ever heard of it). Though I would love to nominate both Vinodini Iyer and Shailaja Vishwanath, I know you two have already received the award and, no offense, I would like to nominate a few people who may not have received it thus far. This is great. Now, I know. How fun! Congrats on your award! It's great for you, and fun for us to read more about you, too! This is awesome! What a fun way to learn about someone else! Congrats on the award as well!!! Congrats Elly and also to your nominees. Oh wow, Elly...thank you! I was out of town in an area without any WIFI/internet/TV...imagine that...places like this DO exist. I've been playing catch up with a lot of things this week. Thank you, again.